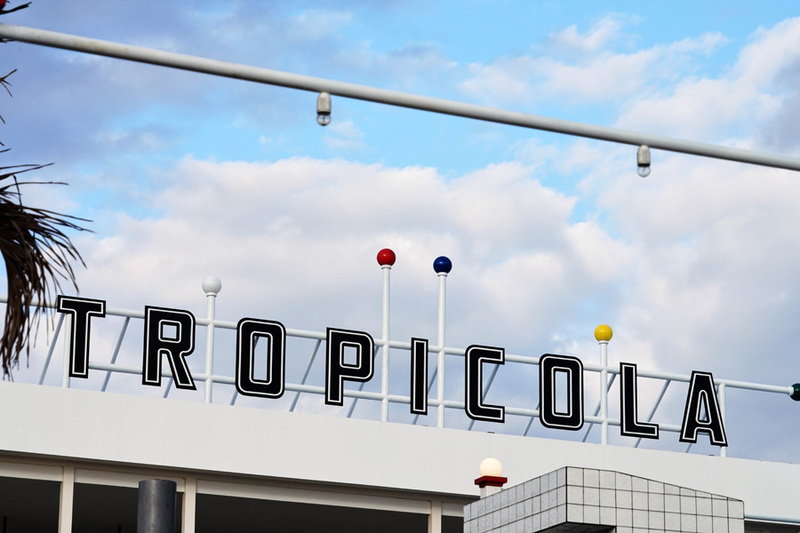 Multi-platinum selling artist, Willy William is coming to Tropicola! 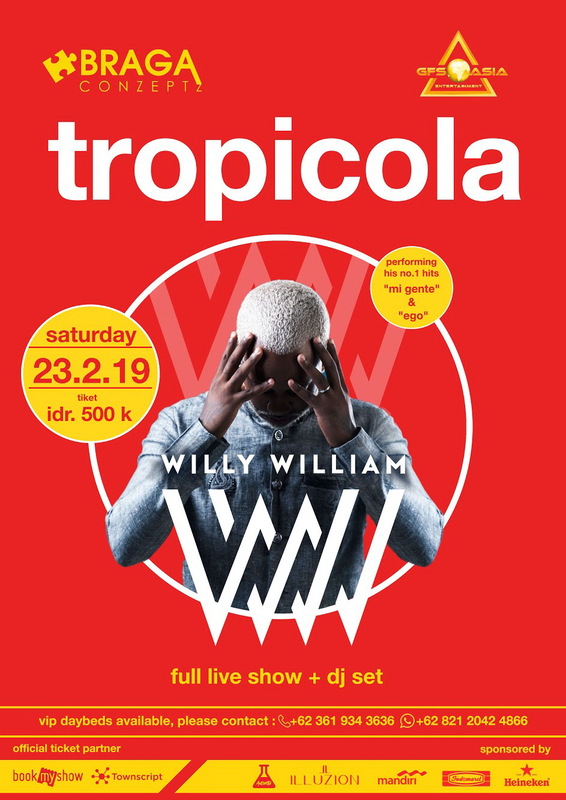 Organized by GFS Asia and Braga Conceptz alongside venue partner, Tropicola, put on your bikinis and bathing suits and get ready to dance to the beats and rhythms of Willy William. Willy William is set to take the stage for the first time in the island of the gods. Recognised for crafting high energy party anthems, Willy’s songs never misses his signature upbeat tempos, strong and fierce vocals, passionate delivery and distinct sound that resonates to millions of pop and hip-hop listeners worldwide. Willy released his highly anticipated single, La La La, last summer that will surely be a popular festival tune heard around the world. The French DJ, producer and singer gained international attention after his hit song Mi Gente was released in 2017. Mi Gente became a wildly popular dance anthem worldwide with its music video garnering over 1.8 billion views on YouTube. The song became so popular that even former President of the United States of America, Barack Obama, called it his #1 song of 2017. The song received the Latin Rhythm Song of the Year at the 2018 Billboard Latin Music Awards and the music video was ranked #3 on Billboard’s 2017 ‘Top 10 YouTube Music Videos’ list. 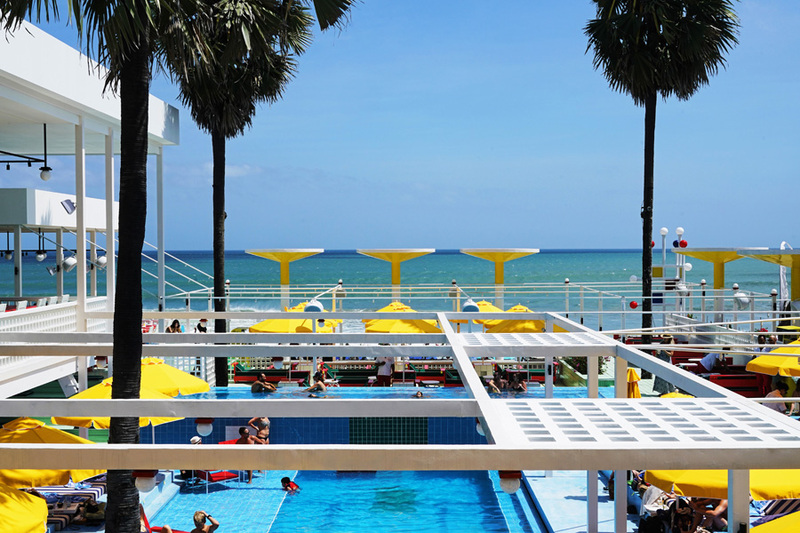 After an impressive track record of hit summer anthems after another, Willy will take centre stage at the celebrated beachfront Tropicola venue where the bold, vibrant colours and stunning ocean views reminiscent of an 80s Miami summer fiesta makes it the perfect setting for Willy William’s Bali debut.